In this quick review we are going to have a look at a new binary options scam called the “Armchair Millionaire”. It is presented by Lewis Grossman. 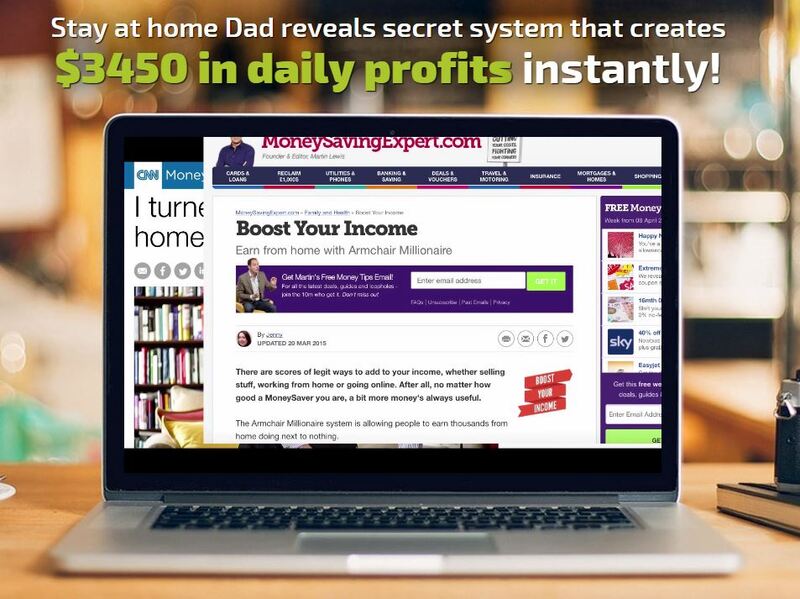 This is the usual scheme, a video presentation of a genius that programmed a piece of trading software that makes tons of money on binary options. This genius is Lewis Grossman who supposedly worked for IBM. And he of course will give you his trading Armchair Millionaire system for free. When you see such a story on binary options, you can be sure that it is a scam. 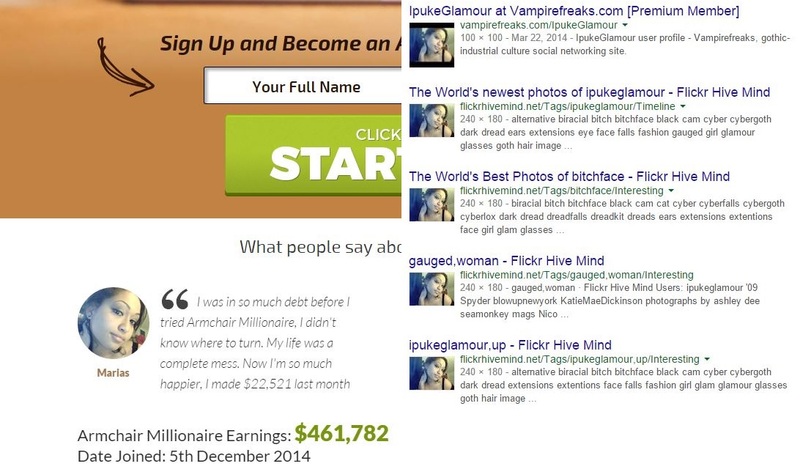 Think of it again, a free software that will make you millionaire, how does this fit in the real world? Of course it is a nonsense. But let’s present some proofs. Grossman says that articles about his Armchair Millionaire system have been published on various web sites like CNN Money or Money Saving Expert. Well, try to search for articles about this system on these web sites, you won’t find any. So the video is faked. Another classic proof are faked testimonials, here is one example, the girl called Marias. Her photo has been taken from some other web sites on the internet, the same thing applies to other testimonials, they are just fake. So there is no doubt that the Armchair Millionaire is a scam. Grossman is in fact a binary options affiliate that will earn commissions for each new trader that he refers to his brokers. So if you join his system, you will have to open an account and deposit at least $250. Then the software will trade your account and you will use your money, simple as that. So beware of all these systems promising free money. Binary options are serious, trading is serious. You can make money with them only if you learn to trade yourself properly.